Photo: The children were happy to receive new blankets in time for the winter season, when temperatures can drop relatively low in the evenings. 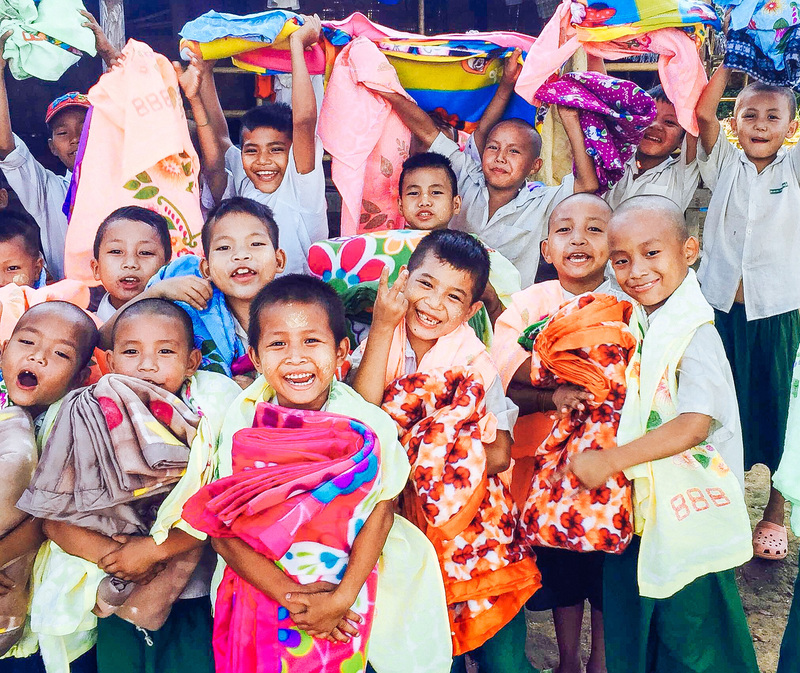 We are happy to report that we recently delivered blankets and towels to the children at our Myanmar orphan homes for their warmth and comfort during winter. However, with your generous support we hope to provide more bedding supplies and new clothes for the 140 children at our orphan homes, which will bring them much happiness this Christmas season. All of the children are doing very well — they are healthy, enjoying nutritious food, much of which is grown at our farmland, and playing music, football, and games together. We’re so thankful for your generosity which will enable us to bless these sweet children with gifts to open on Christmas Day. Our native team’s Christmas wish list continues with a desire for increased monthly support; to be able to open our new preschool in May 2016; to expand our farmland enterprise to include a hen house egg production business; to purchase more acres for our rice paddy farm; to raise money for our rental costs at the three orphan homes where we rent; and to raise $2,800 to purchase 4 motorcycles which will improve our transportation to market, delivering food and rice to all of our orphan homes, and getting the children to doctor’s appointments and other activities more easily. While also providing valuable education to our orphan home children, the new preschool will give us another step toward sustainability for our programs by receiving tuition payments from neighborhood families who can afford to pay. We also hope that the preschool will help our team build more harmony with neighbors in the community. We will initially have 20 students (ages 3-5 years), 2 teachers, and 1 staff member who will function as a teaching assistant and a cook. Our goal is to reach as many children as possible in the future, with a 1:10 ratio of children to teachers, and to hire more staff members. Another part of our vision is for the preschool to solve the problem of unemployment among those in our local community as we are able to hire more teachers and staff. Photo inset: (Top-left): A sweet girl at our Myanmar orphan home enjoys a hot meal sourced from our Myanmar team’s farmland. 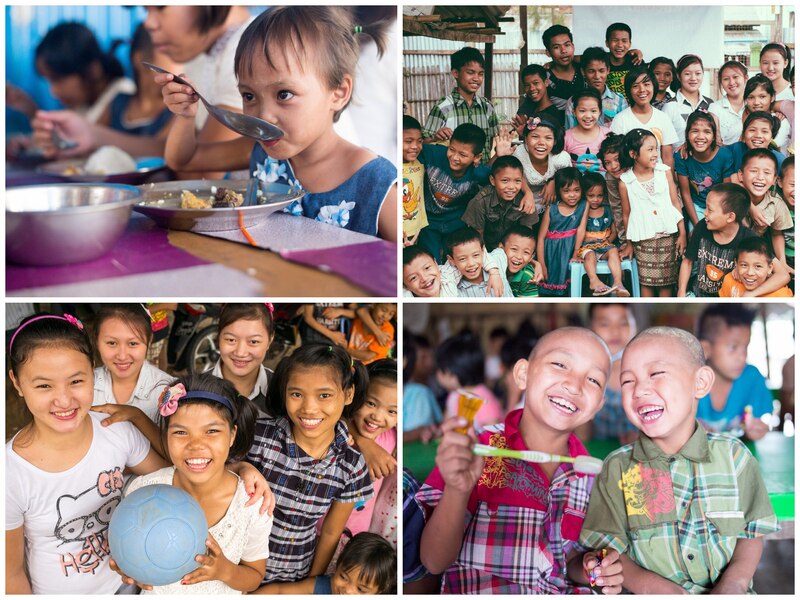 (Top-right): These children are so grateful to have a family of brothers and sisters at their orphan home. (Bottom-left): Girls at our Myanmar orphan home are excited to have a new “One World” ball to play games with. (Bottom-right): These boys from our Myanmar orphan home recently received new toothbrushes from our team. In addition to some seed funds already provided, we are seeking to raise an additional $6,520 to build and outfit the preschool. We believe the school will become a reputable foundation of quality education for young children in Myanmar. This sum will enable us to build the preschool, and purchase an air conditioning unit, chairs, tables for the classroom, tables for the dining area, blankets and pillows for nap time, games for playtime, and uniforms for the children. We desire to raise hens for egg production because they will be a beneficial addition to our 12-acre farmland where we grow rice and vegetables such as mustard greens which are an excellent source of vitamins C, E, A, and manganese. We are also growing different varieties of carrots, and two varieties of celery: traditional celery and turnip-rooted celery, cultivated for its edible roots which are high in vitamins K, B6, and phosphorus. We also raise goats which provide nutritious milk for our children’s health.